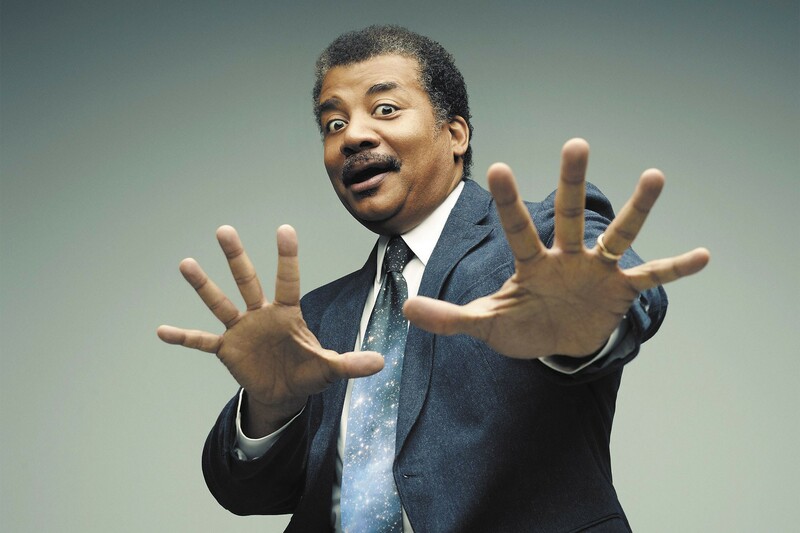 Neil deGrasse Tyson is here to blow your mind. Neil deGrasse Tyson is not the most revered astrophysicist in the field. Nor is he the most famous. That designation would go to Stephen Hawking. But where the 57-year-old director of the Hayden Planetarium in New York City stands apart is that he's most certainly the most relatable and understandable man in his field. For two decades, Tyson — who comes to Spokane on Tuesday to talk about science in movies — has been communicating the complexities of the universe to us non-astrophysicists in a way that we can easily digest. He's been called a "science communicator," which is about as direct as you can get in describing Tyson's approach to milling hard-to-wrap-your-head-around concepts into something digestible. In 2014, Tyson appeared on Cosmos: A Spacetime Odyssey, a continuation of Cosmos: A Personal Voyage, the 1980 series hosted by Carl Sagan, widely regarded as one of the most informative television series ever. As the host of the new Cosmos, which Tyson had labored for years along with Sagan's widow Ann Druyan to revive, Tyson further cemented his status as the voice of popular science. But there was more to Cosmos than just status for Tyson. In a way, it was a tribute to Sagan, whom Tyson met as a high schooler. In 1975, a 17-year-old Tyson, who had already gained notice for giving lectures on astrophysics, met with Sagan, who was then a professor at Cornell. Although Tyson opted to study at Harvard, he came to think of Sagan as a mentor. Earlier this year, a rapper named B.o.B took to Twitter to espouse his unwavering belief that the Earth is flat. Tyson, a known Twitter defender of all things science, took to the platform to destroy the hip-hop artist, but did give him this little backhanded compliment: "Duude — to be clear: Being five centuries regressed in your reasoning doesn't mean we all can't still like your music." B.o.B's response was a dumpy diss track called "Flatline," the lyrics to which asserted that Tyson was somehow getting paid off to espouse the facts of "the cult called science." Naturally, Tyson enlisted the rapping talents of his nephew Stephen to deliver a rebuttal track. Here's a sample: "I think it's very clear that Bobby didn't read enough / And he's believing all this conspiracy theory stuff." Tyson knows a thing or two about wine and has a collection that was once profiled in Wine Spectator magazine. Not surprisingly, he's a student of the winemaking craft and has also spoken extensively on his popular podcast StarTalk about the history and cultural significance, and science, of wine. Although Tyson earned a Master's degree from the University of Texas, he did not finish his doctorate there, as he had planned. He says the environment in Austin wasn't a good fit, and he didn't put in the lab hours needed. Eventually, his professors told him that maybe astrophysics just wasn't his thing. They were wrong, and Tyson eventually landed at Columbia, where he finished his doctorate, and then taught at Princeton.